I had a wild thought last night. I could not sleep so around 2 a.m. I got up to change and turn mom. And than tried to go back to sleep. Which is easy most of the time but not last night for some reason. Yesterday I waited all day for my sister to come so I could get out . Than just when I finished posting my last post about really needing to get out of the house she walked in the door. Better late than never . So I jumped in the car and did lots of things I needed to do. And for a treat I stopped by Sonic for a Cherry Dr Pepper and Fries. I eat so healthy. Anyway I guess the Dr. Pepper was a bit late in the day and made me a little wired. No sleep for me last night. 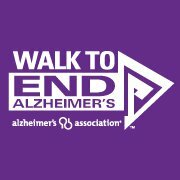 Well, I am still bugging people for donations for my Walk To End Alzheimer's . By the way thank you all that have donated. Love ya bunches! And everyone that have Walks in there area please go if you can. It is great fun or donate to your walk. My wild idea last night was to email our President, Our First Lady and the rest of Congress including Arkansas's own Hillary and hit them up for money. I also ask Mrs. Obama to check out my blog and yours too. I hope she does . I also have been bugging Maria Shriver I wish she would come to our walk and speak or walk with Team Hudson. Won't that be something? So I am going to leave this post up awhile just in case because I am sure it takes awhile to go through all there mail. I would like them to read what we go through day by day. Being a caregiver is a full time , life changing job. 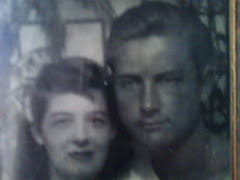 Alzheimer's not only takes the life away from the one who has it but the family of that loved one. They have to stop living there lives completely and start living life for the loved one with Alzheimer's because they cannot live it on there own anymore. We need help , money , resources and so much more. I just don't think Washington knows what it is all about. Mrs. Obama please read my past post. My old one's . My first ones. They tell it the best . Than visit my followers and blogs I follow. That is the only way you will see what life of a Alz's. caregiver goes through. Thank you and God Bless . I pray she reads at least ONE of your posts. Time for the MONSTER IN THE BRAIN to be defeated. Rebecca PS: I can't have diet coke after 2pm or I can't sleep either. You are a true trouper, Karen! Hope you also gets some sleep. Great post. I will add a bit to your total, so maybe one more person will help, too. Drinking soft drinks, tea or coffee leaves me sleepless too. Sounds like you came up with something positive during your sleepless night. I hope she reads some of your post....good luck. I'm so glad you had some time away. When I went to donate, my fingers wouldn't let me do anything less than helping you meet your goal. Hugs and admiration of what you do every day. Thank you Karen for your wonderful idea! I hope you get some sleep! Thanks everyone. I went to bed early last night and slep kind of late. Only had to get up to turn and change mom. Glad to hear you got out and about on your own for a while. Great idea - sure hope something comes of if. Good luck. just stopping by to say hello my friend. Thank you All . I need the translate buttom. I hope She visit us too. And JOe thank you what a honar . Come back any time my friend. What a blessing to find you!!! I've been caring for my mother (advanced dementia) for several years now. I finally started blogging about it....it helps. I am going to read your blog everyday. God Bless You! Karen, what a great idea! I hope everyone you contact reads your very real blog about your caregiving of your Mom --- so much of the "published" literature on ALZ just gives information from or for the professionals, and they are not the ones on the front lines most of the time. 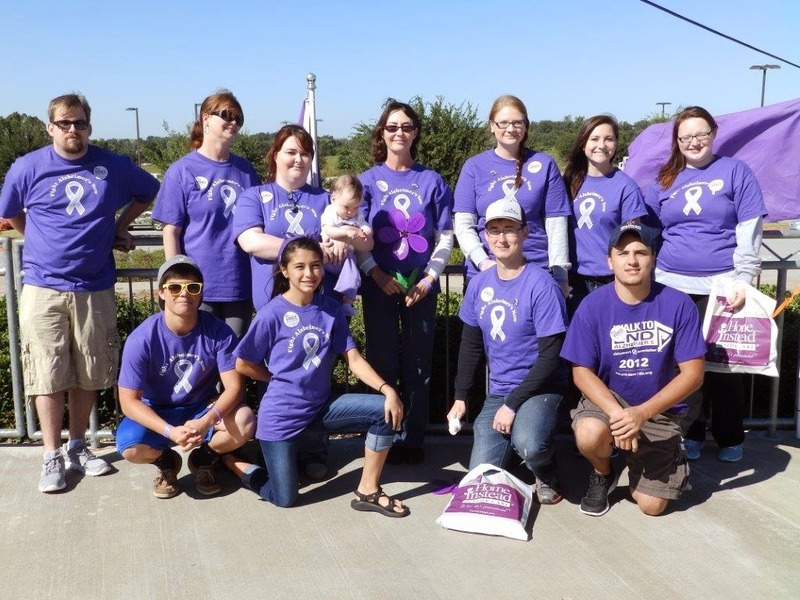 2 years ago our family walked to raise money for ALZ research -- we raised thousands, thanks to wonderful friends and family -- we were really thrilled with how people responded. When my daughter got married in June, we didn't have wedding favors -- instead, the bride and groom made a donation of the money we'd have spent on favors, and gave it to research in memory and in honor of my Mom. It helped us feel as if she was still "present" with us on that special day. God bless you and all the caregivers, the unsung heroes of this most terrible disease. Thanks Cass great idea's you have. And glad you found me Carol come back anytime. I came across your blog while looking for blogs about alzheimers. I am taking care of my mom who has the earlier stages of alzheimers. Since it is still a little new for me, it encourages me to read from people that have been through this part, made it and can share how this part is going. Thank you so much for sharing this!! So helpful! Glad you found me . There are lots of great Alz's blogs out there. Lots of info. Good luck. Karen, I hope you are doing well. I think of you each night as I go down my list of "special blogs". 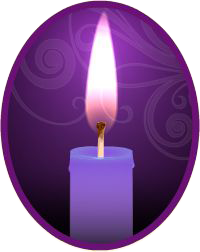 I have a separate list of blogs that I feel need a special prayer for healing, strength or peace. Hugs & prayers. I am good Beckie thank you so much.